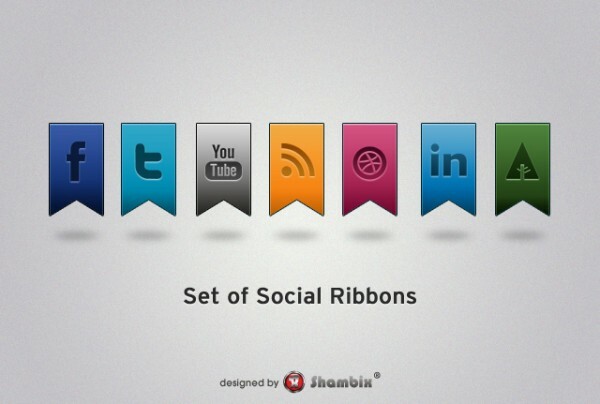 A free psd containing a set of 7 Social Media Ribbons: Facebook, Twitter, YouTube, RSS, Dribbble, LinkedIn, Forrst. We love freebies so feel free to use them however you please, commercial and non projects. There’s more free graphic stuff around the site you can download, you can also request more free elements by commenting.